Are you a pearl lover or a crystals lover? If your like me, its hard to choose! 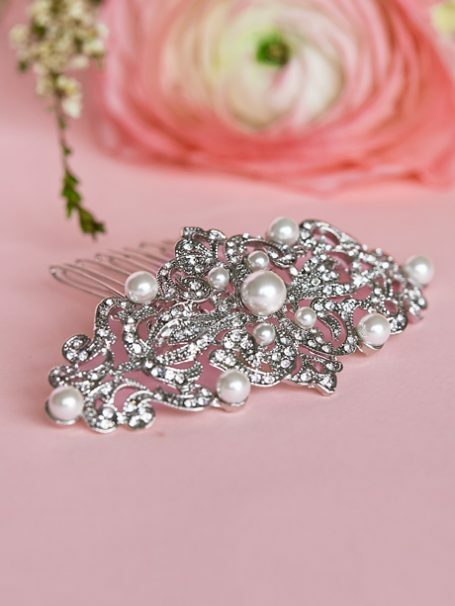 Our Paris hair comb is a vintage inspired piece. That is so easy to match, with a pair of pearl earrings or a family pearl necklace. Looking for a splash of vintage charm with a mix of modern day chic? I’m sure you are, the Paris vintage hair combs is just the piece you are looking for. Made from a rhodium silver with the option of all crystals or a mix of crystal and pearls. Easy to wear with hair up, hair up or hair down. 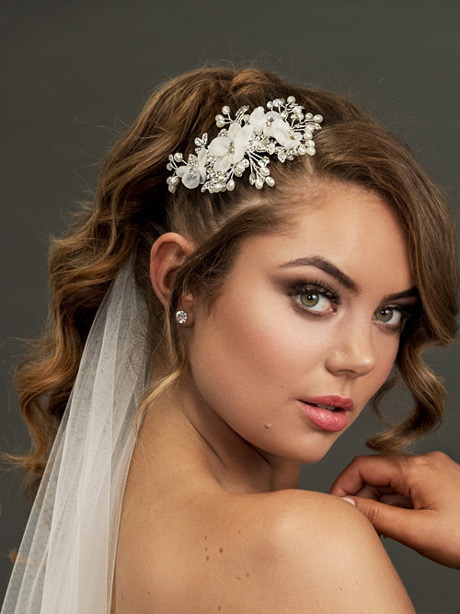 A unique design to Hello Lovers Australia, a part of our Halo Collection – Classic wedding jewellery that will last the ages. Match with the Rutherglen wedding earrings in silver and about 5 diamontie hair pins- perfecto! Complete the look with one of Hello Lovers lace wedding dresses.